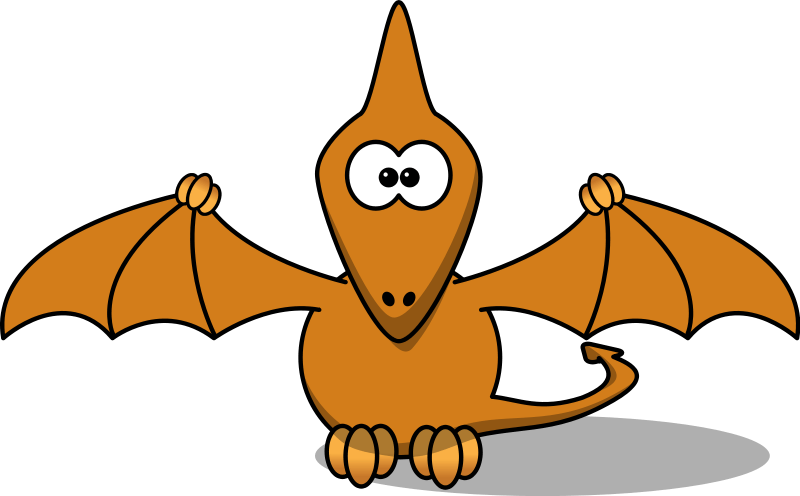 I often wonder what goes through the mind of an editor or graphic designer when they see the word Pterodactyl. It’s a fairly common word really, most people learn it when they’re children; and though it’s an odd, almost Greek-looking word, I feel it’s recognizable enough. Still, there is something almost mystifying about an editor and graphic designer’s ability, or, should I say, lack there of, to spell even the most common words. Before I appear morose or offensive, I would like to say that I believe these folks are intelligent, creative, and capable of wonderful on-screen-text, if only they just believe. I spent many an elementary year struggling with the subject of spelling, the laughter and pointing fingers only drove me to be more diligent in my studies, as well as utilize the resources of “spell check” and of course, a dictionary. This inquisition into the unknown finds it’s genesis in an instance when I was beseeched by a superior of mine to email any written material to editors and graphic artists to minimize grammar or spelling errors that so oft find their way onto our screens. I, in the most gallant fashion, shot an inquisitive and most likely, befuddled look, to which the response was: “Editors and graphic artists can’t spell, that’s why there is copy and paste.” Shakespeare himself couldn’t pen a more beautiful explanation; I felt as if I was listening to a concerto by Mozart, or gazing upon a Monet or the statue of David itself. I vowed from that moment to not only follow through with the advice, but also, to explore the origins and reasons behind the phenomenon of editor’s inability to spell well. I would encourage everyone to do the same, as well as offer their help to anyone in distress. My best recommendation for a place to start is, Mr. Merriam and Mr. Webster– masters of their craft. Also, keep in mind friends, even our once great and prudent leader, President George Bush Sr.’s Vice President, Mr. Dan Quayle, had trouble spelling at one time or another.